Shown is the Austin A30 dragster front view photo, one of several I've taken of classic Austins at classic & vintage car shows in the UK. To see photos of similar old Austin models, including Austin commercial vehicles and Austin saloons, please see the homepage menu. Extra info on this classic Austin: Well the Austin grille looks to be original - not sure that it still runs on crossply tyres though! 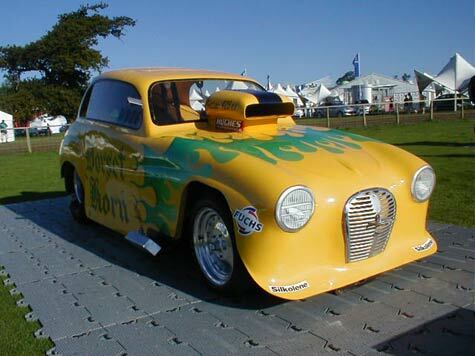 There are more photos of old Austins similar to this one of an old A30 dragster front view - please see the homepage menu.